In rural areas across the U.S., insufficient internet connectivity means that businesses can be limited from deploying modern tools like Office 365. But Doug Kinzinger, a Windows Insider and IT pro, loves a challenge. 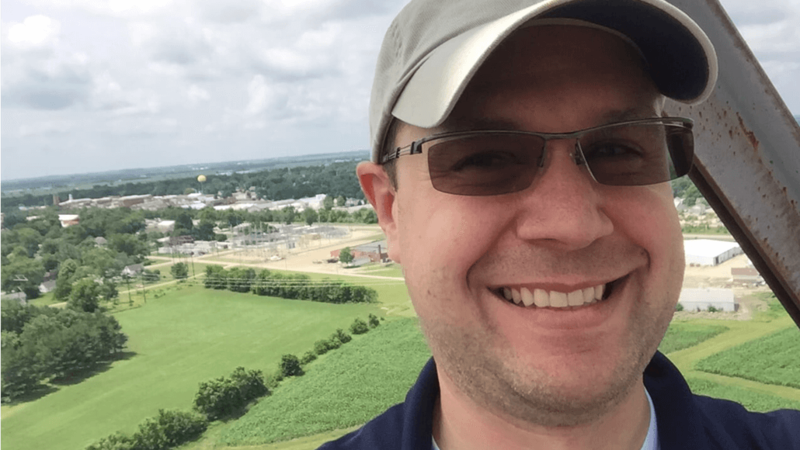 Doug is Director of Technology Solutions at MCS Office Technologies, a Microsoft Gold Certified Partner that helps businesses in Illinois get connected and boost their productivity with Windows 10 and other solutions. Even before the Windows Insider Program launched a few years ago, Doug “was frequently downloading MSDN bits or the latest build of Windows — trying it and just eating the Dogfood and giving feedback.” Today, he finds the Windows 10 Insider Preview Builds to be especially useful for testing the products of software vendors, especially those working in niche industries, such as agriculture and finance. By staying abreast of the future of Windows, his team can be sure to recommend solutions that will work for customers for the foreseeable future. Editor’s Note: Doug was the winner of our latest Insiders in Action contest! His featured photo shows him 200 feet in the air, on a grain elevator in rural Paxton, IL. If you’re a Windows Insider and want your story told, look out for future contests announced on our website. Don’t forget to follow us on Twitter to stay ahead of the latest news!